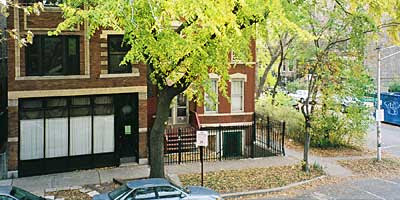 The city will recommend East Village for the National Register of Historic Places. Federal landmark status does not put more restrictions on property owners, according to the city Zoning and Land Use Planning department. But it would extend federal tax incentives to renovation work in a wide area from Damen to Hermitage avenues, including the side streets between Division Street and Chicago Avenue. A city landmark district was created in 2006. It recognizes specific addresses that qualify for tax breaks. Through the Property Tax Assessment Freeze Program, the assessed valuation of the historic property is frozen for eight years at its level the year rehabilitation began. The valuation then is brought back to market level over a period of four years. Chicago nominates its landmark districts for the National Register to qualify property owners for a federal tax credit, Deputy Commissioner Brian Goeken said today in a letter to Aldermen Manuel Flores (1st Ward) and Scott Waguespack (32nd Ward). The Illinois Historic Preservation Agency certifies buildings for the federal tax credit. Owners of buildings that contribute to the district's character would be able to take take 20% of rehab costs directly off their federal income taxes. Local incentives include a property tax assessment freeze for eight years. The benefits of both state and federal programs are summarized at illinoishistory.gov. A Feb. 5 city hearing will consider how to frame the East Village bid. The Illinois Historic Sites Advisory Council will review the East Village nomination March 13 in Springfield. For more on either meeting, call Terry Tatum at (312) 744-3200. The link provided in the post the "National Register of Historic Places" is not the federal website and is run by some business.